Feels so satisfied to have gone through an engaging four day session on Directory Server. Thanks to each of ’em in the photo below for pushing themselves to stay late on most of the evenings, including the concluding day to perform a neat ‘teach back’ session. Special thanks to Ashish Adyanthaya for taking up the responsibility of capturing the ‘teach back’ session (most of it). Click here for the download location of Directory Server and other related Identity Management products. 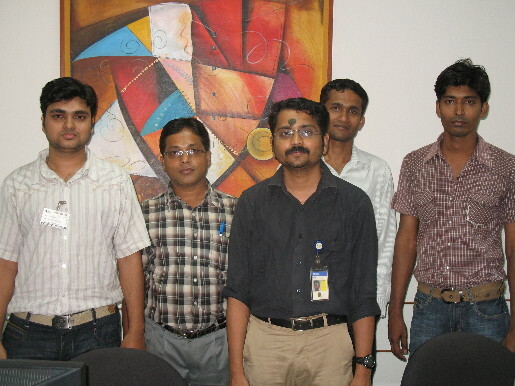 Below is the batch photograph taken on the concluding day of a five day session on Sun Java System Access Manager at Bangalore, which began on 27 August 2010. Thanks again to David Goldsmith for the wonderful course that he developed around this product, my job was rather easy and we had good fun and great learning (I hope so). On the last day of the program, on my request, we had a thorough revision of the whole program, in the form of a good solid ‘teach back’ from each of the participant. May be, that was the highlight of the whole session and I thank each of them for putting in so much of effort to help me feel satisfied and proud. For those who are looking for details about evolved version of the above product, I suggest going here.